Argentinean tennis player Juan Martin del Potro, will play Japanese Kei Nishikori in the round of 16 of the Washington Open. Del Potro, a Citi Open triple champion (2008, 2009 and 2013), defeated Slovakian Lukas Lacko 7-5 and 6-2 in the second round of the competition in an hour and 29 minutes of play. 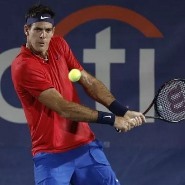 With the win, del Potro extended his Citi Open winning streak to 15 matches. Nishikori, number nine in the world rankings and Citi Open champion in 2015, overcame American Donald Young in the previous round 6-3, 4-6 and 7-6 in a match that lasted just under 2½ hours at the Rock Creek Park Tennis Center in Washington D.C. The Japanese player is the second seed of the tournament, behind Austrian Dominic Thiem. The 27-year-old Nishikori is aiming to win this tournament for the second time, having captured his first Citi Open title in 2015. Nishikori has been suffering from injuries this season and made a third-round exit at Wimbledon earlier this month. The South American, currently ranked 32nd in the world rankings, has a 2-6 record this year when facing a top-10 player. Fortunately for the Argentine, in head-to-head clashes Del Potro has a 5-1 record, including the last round of 16 match they played in Rome in May, when Del Potro won 7-6 and 6-3. Another Argentine tennis player, Guido Pella, also advanced to the last 16 by beating Germany’s Mischa Zverev 6-7, 7-6 and 6-3 in two hours and 20 minutes. game. 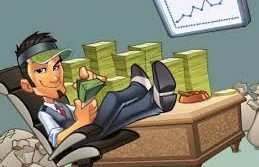 The ATP 500 Tournament in Washington is part of the American tour prior to the US Open, the fourth Grand Slam of the season, which starts on August 28 in New York.